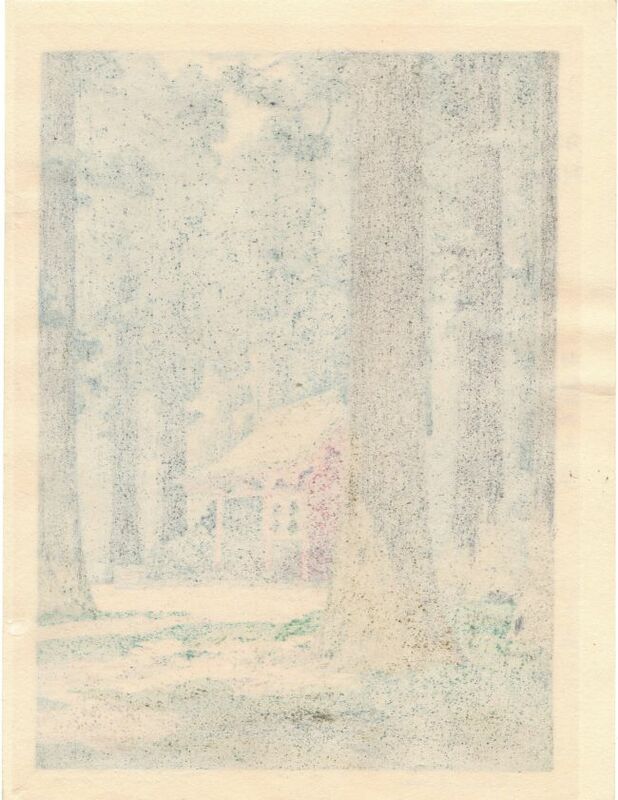 Description: This beautiful print is one of Yoshida’s best images. 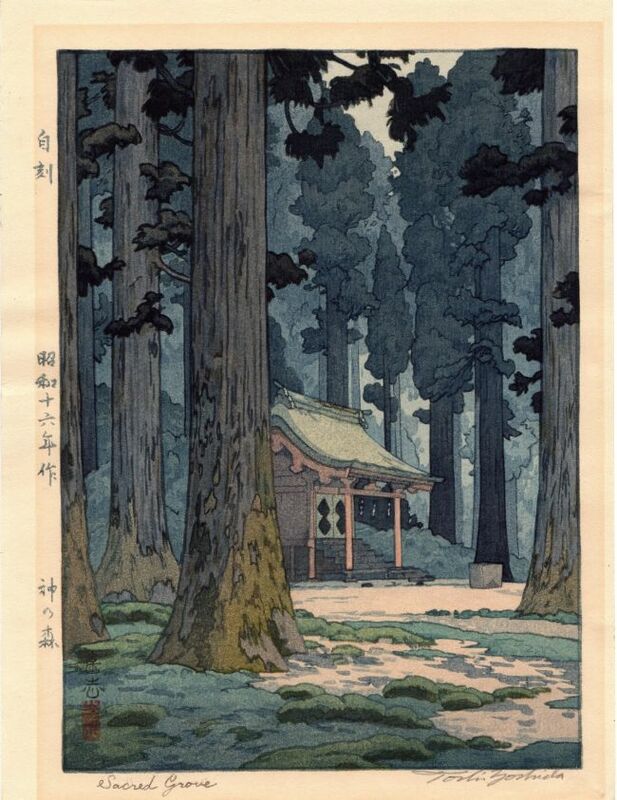 The lovely scene, void of people, shows a tiny temple surrounded by towering pine trees. Print bears the "jikoku" (self-carved) seal in upper left margin. Toshi Yoshida's wife Kiso cut parts of the blocks for this print.